Below is a sampling of awards and press coverage received by Watering Can Press products! The Healing Book and The Greening Book were chosen as gold recipients by Mom's Choice Award - identifying them among the best in family-friendly products. Click here to read the press release. Other Watering Can Books have also won this prestigious award, including The Healthy Body Book, The Nickels, Dimes, and Dollars Book, and The Healing Heroes Book. The Greening Book, The Autism Acceptance Book, The Giving Book and The Hero Book have all won the iParenting Media Award – chosen among Greatest Products for kids and families! The Giving Book has received the prestigious Carol D. Reiser Book Award. Only one recipient a year receives this honor which spotlights a book that effectively promotes the concepts of volunteerism and commitment to community. Click here to read the press release. The Healing Heroes Book was discussed by Ellen Sabin on a segment of this news show to discuss the importance of supporting military families when someone they love is wounded in service. Parents Magazine Recommends The Giving Book! 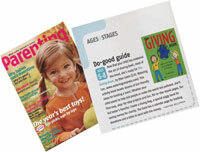 Parenting Magazine Features The Giving Book! Fox 5 Atlanta Talks with Ellen about Giving. Ellen Sabin and The Hero Book profiled in The Wellesley Townsman! The New York Knicks feature The Giving Book at their Holiday Reading Event. Ellen Sabin joins Knicks players Nazr Mohammed, Michael, Sweetney, and Moochie Norris for the Knicks reading event. The Autism Acceptance Book is recommended on The View. 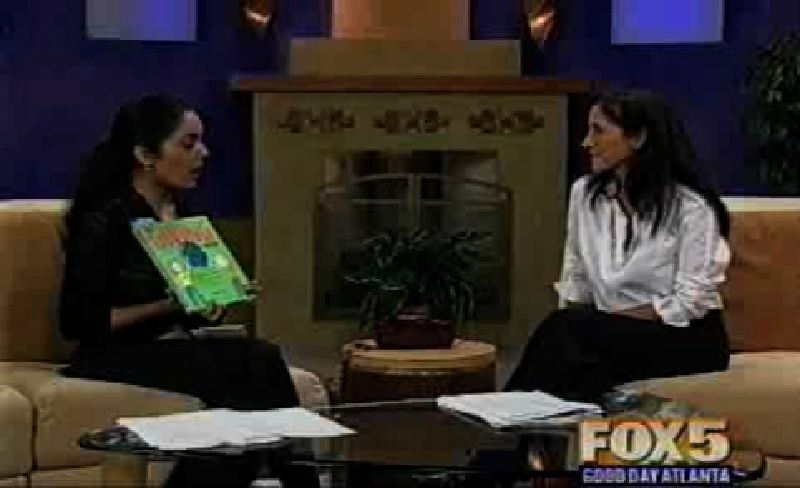 Rosie O'Donnell tells viewers, "It's a great book for kids"; Click here to watch video clip. The Giving Book picked as Book of the Month. Watering Can Press and The Autism Acceptance Book serve as the first National Sponsor for Autism Speaks' Walk for Autism Research Events. Among a prestigious group of award-winning authors asked to present to over 100,000 attendees at the Mall in DC, Ellen was honored to be chosen to read at the 'Target Children and Family Stage'. Watch video clip here from event. The Boston Celtics Hero Book shares a great message! "My father is my hero" said JoJo White, former Boston Celtics Legend, at a reading event in Waltham, MA. The Special Needs Acceptance Book makes a difference. The Special Needs Acceptance Book recommended by The Eunice Kennedy Shriver National Center for Community of Caring. The Giving Book receives more media recommendations! The Giving Book was featured as a resource for teachers in the April, 2007 issue of Time for Kids. Watering Can Press in Wee Ones Magazine! Read testimonials about our books.